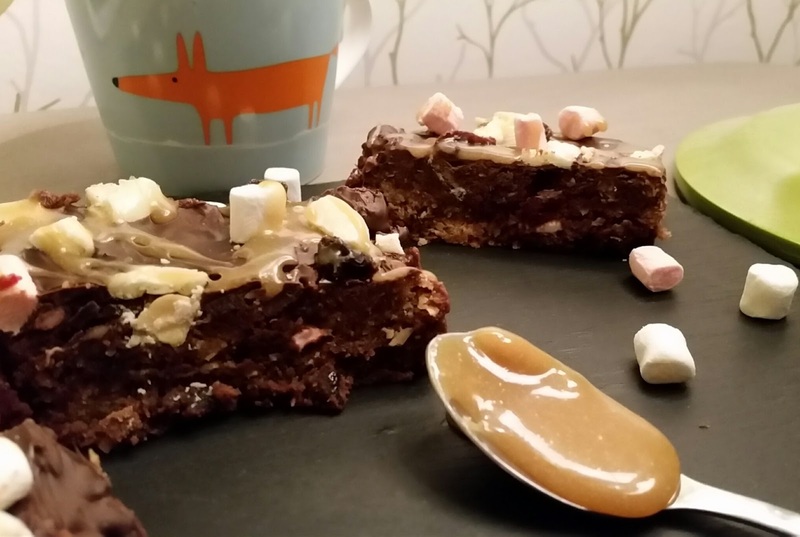 These salted caramel rocky road bars are the ultimate for a sweet tooth. Great for preparing ahead of time if you're having a bake sale, afternoon tea party or a potluck event. My traybake recipes are generally always popular on the blog, so I hope you enjoy this one too! 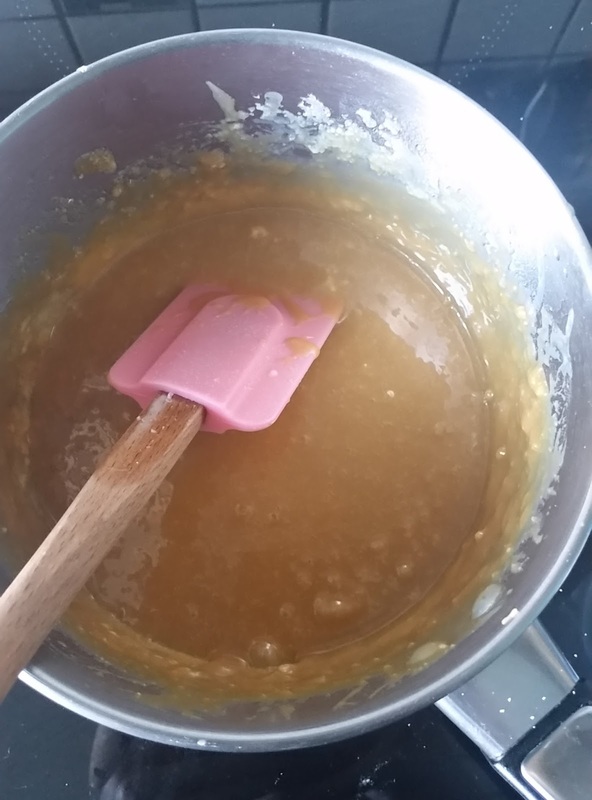 Firstly, make the salted caramel sauce by adding the golden caster sugar to a pan over a medium heat. This is the dry method of making caramel, so keep stirring the sugar with a heat proof spatula so it doesn’t stick to the bottom. The sugar will begin to clump together and melt into a golden colour. Be careful not to burn it. Keep stirring! Once sugar has melted, stir in the butter and boil for 2-3 minutes – be careful, the mix will bubble up when the fat is added. Then slowly add in the double cream and stir through. Heat for around another minute, continuously stirring then remove from heat and allow to thicken. If there are any lumps in the sauce, pass through a sieve to remove, then stir in sea salt to taste. Next, make the base for the rocky road. 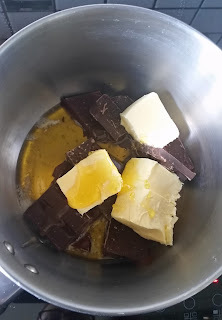 Add 180g dark chocolate, 3 dessert spoons golden syrup and 125g salted butter to a pan over a medium heat. Melt all ingredients together and remove from the heat. Once melted, allow to cool slightly, before breaking up the hobnobs into the mix. You want to keep the pieces a reasonable size, rather than a crumb, so the tray bake has some bite. Stir in the mini marshmallows, chopped yoghurt banana chips and dried cranberries to the mix. Using an 8in x 8in silicone bake pan, pour in around half of the base mixture and flatten out into the pan, making sure to reach the corners. 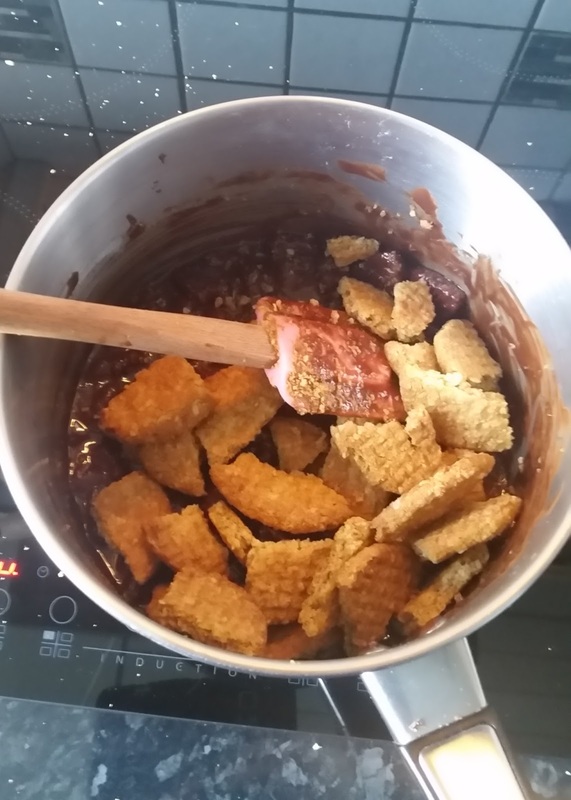 Then, drizzle 3 teaspoons of salted caramel sauce over the top, before adding the remaining half of the base mixture over the sauce. You’re almost creating a salted caramel sandwich! Flatten out, as per the first half. 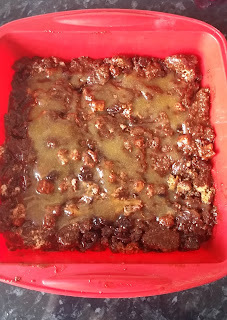 Transfer to the fridge and allow to set into a solid block (around 1 hour). Once chilled, melt 100g dark chocolate in a microwave cup for around 1 minute until smooth. Pour over the base mixture and use a spatula to flatten out into a chocolate topping. Then, add some raisins, marshmallows and chopped yoghurt bananas scattered across the chocolate, before finishing with 3 teaspoons of salted caramel sauce drizzled on the top. Return to the fridge to set the topping (around 1 hour) before cutting into 10 equal sized bars. This can be made a day ahead of time and stored overnight – just cut before you are ready to serve. The recipe is fairly dense, so you could get 20 smaller pieces out of the mix, if bitesize blocks are more your thing. 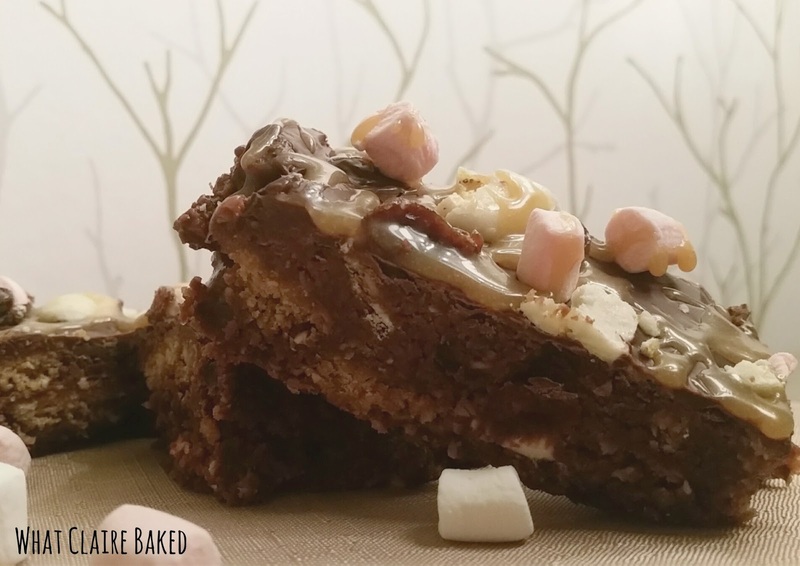 The rocky road will keep in an airtight container in the fridge for around 4-5 days after being made. Use pre-made salted caramel sauce for the filling and topping if you are unsure about making the caramel from scratch.